Las Vegas as one of the most popular private jet destinations in the United States attracts both business and leisure passengers throughout the year. Being the entertainment capital of the world, the city features many famous casinos, attractions and shows. It is also a popular convention city for its numerous hotels and event spaces. There are tons of reasons to visit Las Vegas: the restaurants, shows, nightclubs, etc. Some people even come to Vegas to get married. But 53% of the people who visit Vegas will do at least some gambling, So some tips to find the casino’s for gamblers and non-gamblers. The sports book—that part of the casino where you wager on sports—inside Caesars Palace is a sports-lover’s paradise that draws huge crowds and delivers a tailgating-style experience during big games to the 15,580-square-foot corner of the gaming floor. ARIA doesn’t only boast one of the largest slot-machine floors on the Las Vegas Strip; it also offers one of the most exclusive high-limit slot rooms anywhere in Nevada. The poker room at Bellagio remains a favorite among veterans and amateurs alike has 40 tables in all, often a healthy mix of limit and no-limit Hold ‘Em. Players can get drinks, food, at any time of day or night. Are you a foodie? Visit The Cosmopolitan, where the restaurant collection is chock-full of eateries from decorated chefs. The resort also is home to The Chandelier, a bar where mixology wizard Mariena Mercer has put together a menu that boasts modern twists on classic cocktails. And after a night of drinking and partying, nothing beats a New York-style slice from Secret Pizza. In Vegas for the view, go to the Stratosphere Casino, Hotel & Tower, the tallest structure in Sin City (1,149 feet in all) and tallest freestanding observation tower in the United States. Looking for the best pool? Mandalay Bay refers to its pool area as the “beach.” And for the best spa (and casino) The Venetian and The Palazzo offer a host of wellness services. Conventions: Due to the numerous hotels, event spaces and compact downtown area, Las Vegas is consistently one of the top convention cities in the US. 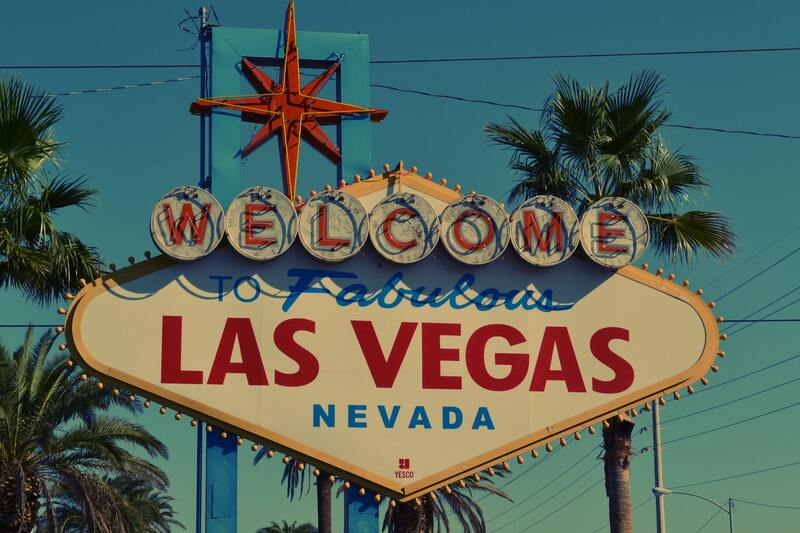 From Consumer Electronic Show (CES) in January to the Men’s Apparel Guild in California (MAGIC) in August, there are always top-notch industry events in rotation in Las Vegas. Other notable conventions include the National Association of Broadcasters Convention (NAB) in April, the JCK Jewelry Show in June, and the Global Gaming Expo (G2E) in October. There’s no sport better equipped for Vegas than professional boxing. For decades, boxing has thrived here becoming a hall of fame for memorable matchups and controversy. No matter who you see, it’s all about checking off stuff on your list. Seeing a professional boxing match is well worth the price of admission. Holiday Weekends: New Year’s Eve in Las Vegas is legendary – from the over-the-top celebrations and fireworks displays to the sheer glamour of the city, There’s nothing as exciting as New Year’s Eve in Las Vegas. Las Vegas is guaranteed to deliver an unparalleled experience on one of the most exciting nights of the year. Memorial Day Weekend is another popular holiday weekend in Las Vegas – it marks the official start of the hotel pool party “season.” Halloween, Labor Day Weekend, and Spring Break are other popular weekends in Sin City. From residents DJ’s Tiesto and Calvin Harris at Hakkasan to David Guetta and Afrojack at XS, you’ll find some of EDM’s best performing in Vegas almost every day of the week. Resident Shows: Las Vegas is home to plenty of resident shows – these are events that stay in the city for longer periods of time than traveling tours or one-off concerts. From Celine Dion at Caesar’s Palace to various Cirque du Soleil productions. Centrally located within a 10 minute drive from the Strip and well-equipped for both business and leisure travelers is Las Vegas McCarran International Airport. Other options ar North Las Vegas Airport or Henderson Executive Airport located just outside of central Las Vegas. PRIVAIRA provides private jet charter flights in and out of Las Vegas. Flying privately allows you to make the most of your vacation by allowing you to select flexible departure times or access more private airports in close proximity to Las Vegas.